Come sit and relax in our Deluxe Mission Style Rocker. A contemporary recliner celebrates style and comfort with a modern design. This finely upholstered chair features a quality crafted wood and metal frame, metal hardware, and plush foam and fiber cushioning. Relax in comfort in this electronically controlled power recliner conveniently enhanced with a USB port for all your devices. The low profile legs and durable metal hardware give the chair a solid stability for years to come. The tall, slightly angled backrest is padded with deluxe cushioning making it a treat to lean back and relax in style. Relax and unwind with this Swivel Glider Rocker and Ottoman set. Made from durable materials, the contemporary design and plush cushioning will provide a welcoming & comfortable addition to any room in your home. The style and function of this glider set make for an incredible value. This Traditional rocker is the ideal place to think, sit and relax. 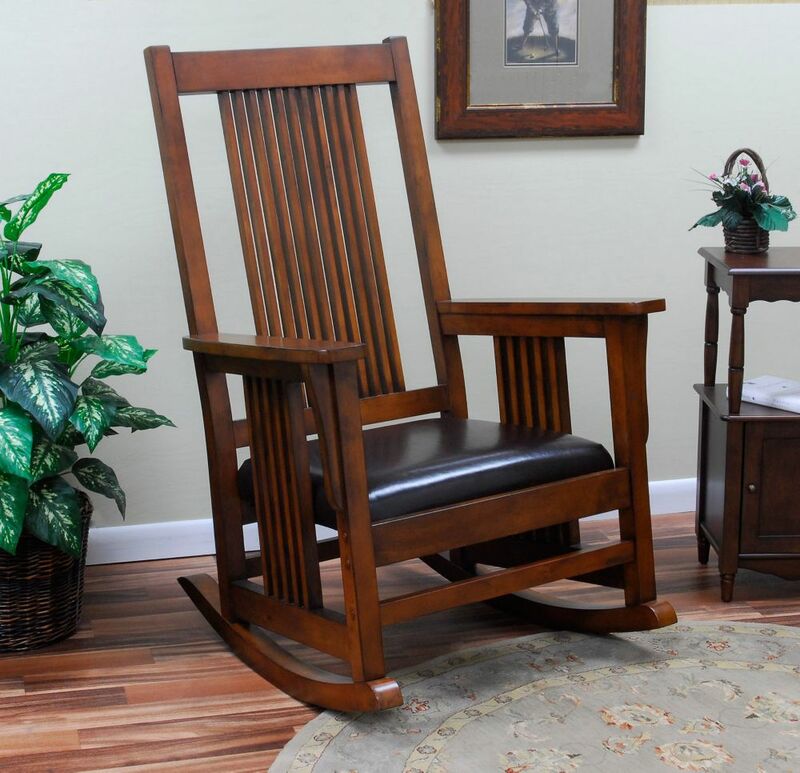 With classic, sturdy construction, handsomely carved spindles and engravings, this rocking chair is the perfect compliment to any old world charm dicor. Finished in light oak, the curved back slat supports and generous seating dimensions make this rocker very comfortable. Deluxe Mission Rocker Come sit and relax in our Deluxe Mission Style Rocker. Deluxe Mission Rocker is rated 5.0 out of 5 by 1.